The Athertyn community is comprised of like-minded neighbors with diverse interests, professions and fascinating experiences. People who will want to share good times – as much or as little as you choose. 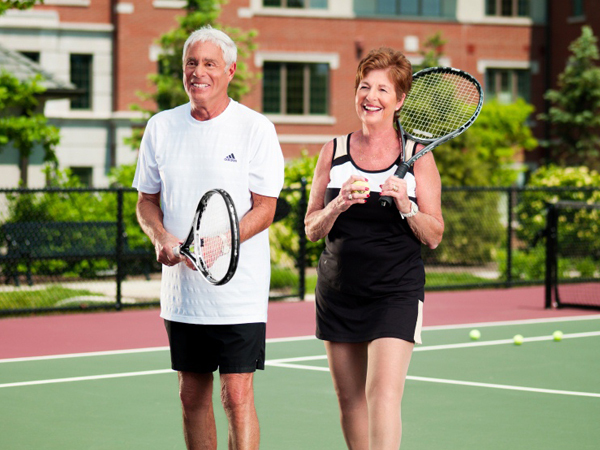 Whether you join in a game of Pickleball, attend a private function at the Clubhouse, or meet on the Main Line for dinner, making new friends never grows old. 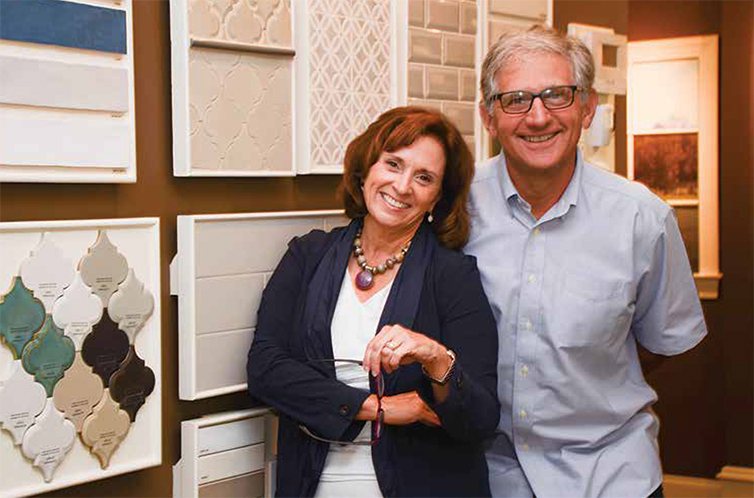 Marilynne and Jay Rose: "The customization and design process has been so much fun, we can’t wait to move in!" Since becoming newly retired empty-nesters, Marilynne and Jay Rose have been searching for a lock and leave lifestyle, to be able to easily visit their son and his family in Seattle, and Athertyn is the perfect place to call home! 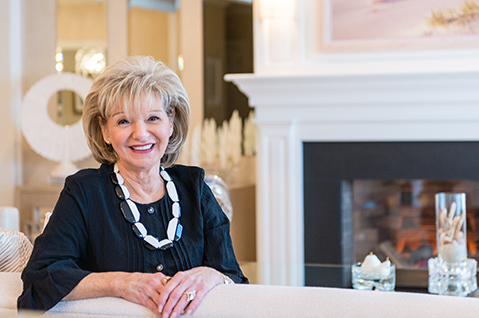 As a former interior design professional and professor for the past 25 years, Marilynne is excited to be working with the Athertyn team designing her first ever, brand-new home. 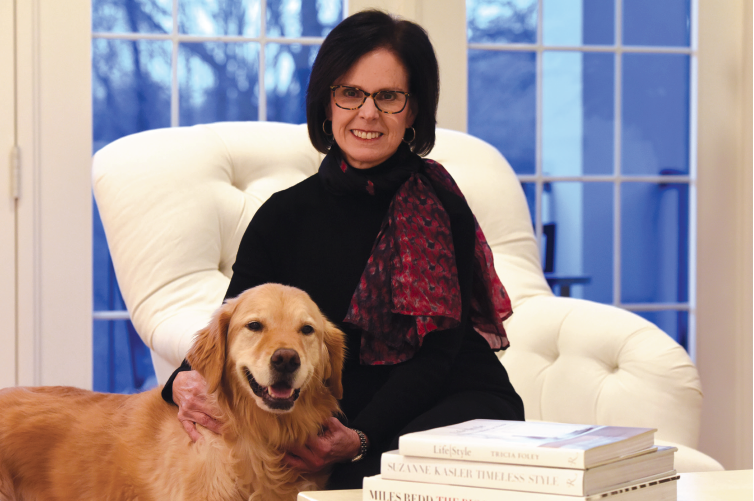 From hitting the slopes with the Main Line Ski Club to enjoying time with her golden retriever Gracie in the beautiful Haverford Reserve, Rosemarie has found the perfect place to live! A single woman and long-time Main Line resident, she enjoys the many amenities Athertyn has to offer, especially the maintenance free lifestyle! 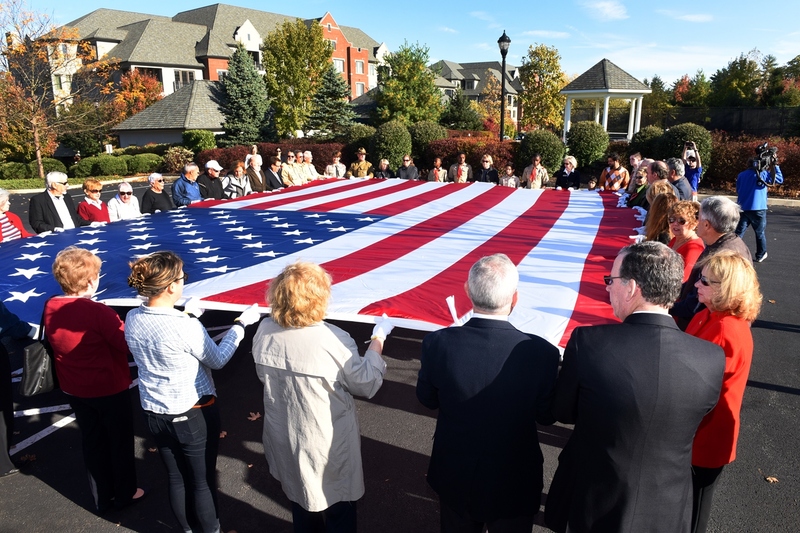 Athertyn recently hosted a community flag ceremony and memorial tree planting in partnership with Saving Hallowed Ground, to honor veterans and American heroes. Here, some of our Athertyn residents share their own wartime stories and memories. With three grown sons living across the country, Barb and Nick were ready to move from their 3,000-square-foot family home of nearly three decades. They wanted to stay close to Nick’s golf club and to the offices where they both work fulltime. They’ve lived here for two years now with their two dogs, Shi and Syd. Freddi Barson: "As a Main Line Realtor for 25 years, I knew Pohlig's reputation for quality and location"
After nearly five blissful decades living with her husband in the two-and-a-half-acre Penn Valley home they shared with their three children, Freddi pursued a new lifestage by moving to Athertyn. She’s broadened her wide circle of friends and still works a few days a week with her son Louis at Hymie’s Delicatessen. 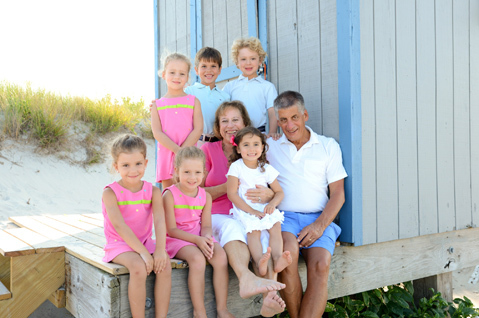 Previously from Connecticut where they endured tough winters and maintained a large family home, George and Margaret Petersson moved to Athertyn to be close to their son and his family, who live in Wynnewood. 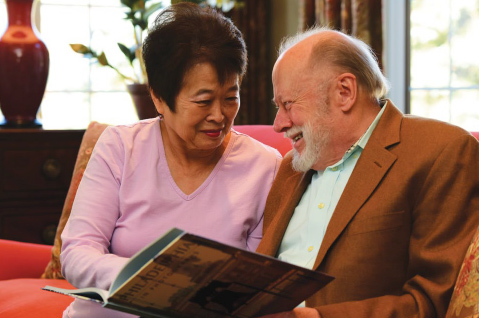 George, a quantum chemistry research professor at Temple University, and Margaret, a happily retired psychotherapist, love the Athertyn community as well as traveling around the globe to places like China and South Africa. 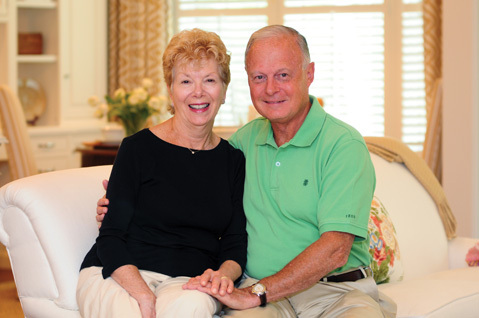 Philadelphia natives Jim and Pauline Catrickes travel frequently between their homes, as well as to visit their grown children and grandchildren who live in different states. That's why they love the maintenance-free lifestyle at Athertyn – as Jim says, "It frees you up from the cares of the house. Life is easier – we come and go as we choose." 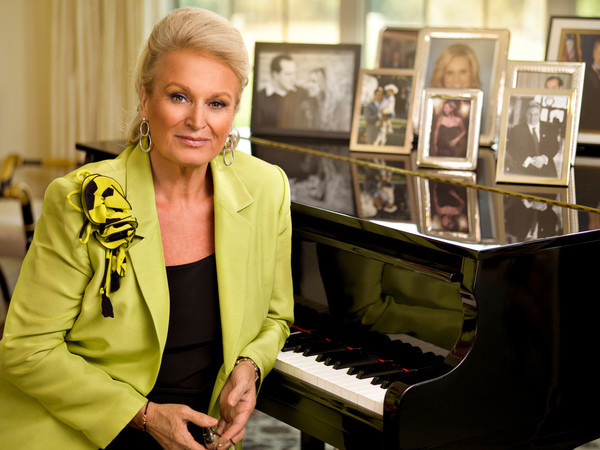 As seen in Main Line Today magazine, Former First Lady of Drexel University Eliana Papadakis explains how Athertyn, the Main Line's premier lifestyle community, fits her life: "At Athertyn, I'm in a home that allows me to lead a very full life, without the responsibilities that come with the upkeep of a large house." Chuck and Leah Crane have lived in the Main Line area for 30 years, raising their two daughters, both of whom are married with children of their own. 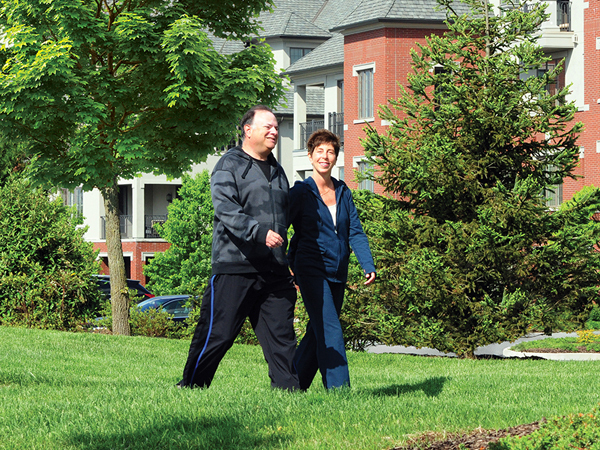 When looking for a 'right-sized' home with new construction, they fell in love with Athertyn. Just a mile from their house in Radnor, Athertyn had an ideal location as well as unbeatable amenities. Read on for how they describe their new life. A world traveler, Susan Vaughn has quite a few trips planned over the next six months, including three weeks in California to visit her son and his family. But she also loves living close to her sister in Devon as well as her daughter and granddaughter in Newtown Square. For Susan, "Athertyn is perfect. It's all I need." 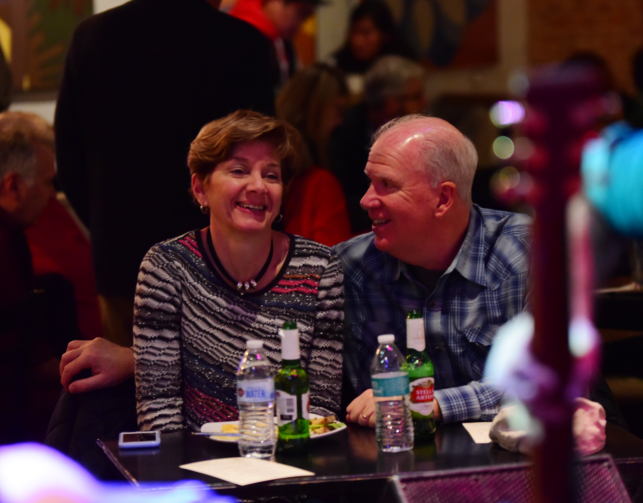 As seen in the Main Line Times, Mike and Susan Master share how their ‘joie de vivre’ has continued to flourish since moving to Athertyn two years ago. From playing tennis and traveling to Mike's law practice and Susan's volunteer work, this Main Line pair approaches each day with a sense of enthusiasm that's magnetic.